New Zealand loses between 200 and 300 million tonnes of soil to the oceans every year. But on further reading, things get rather worse. The reasons for these rather worrying statistics are linked to both human and non-human factors. 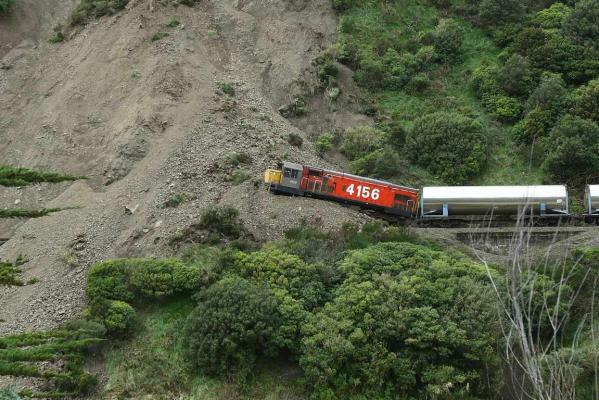 New Zealand’s mountainous terrain and maritime climate makes our hill country in particular more susceptible to erosion. But land management practices since the arrival of European settlers a century and a half ago have greatly exacerbated this susceptibility: forest clearance, particularly on hill country, grazing on steep slopes and over-stocking of unsuitable country have all contributed to accelerated erosion. Though the bulk of New Zealanders remained blissfully unaware of huge volumes of the country’s natural capital falling into the sea every year, the problem reached crisis proportions in the early 20th century. And, but for the efforts of efforts of pioneer soil conservators such as Lance McCaskill, the problem may have continued to be ignored by politicians and policy-makers. It was primarily McCaskill’s tireless awareness-raising and lobbying efforts which led to the enactment of the Soil Conservation and Rivers Control Act of 1941 – world-leading legislation at the time. Under this Act, a Soil Conservation and Rivers Control Council was set up to oversee catchment boards and river control programmes. The council and catchment boards had the power to regulate burning and land use, and levy rates. Initially, farmers were concerned that the law would affect their livelihood and farming methods. In practice, however, a strong voluntary ethic evolved, reinforced by community pressure and subsidies for approved remedial work on farms. There was university training for soil conservators, and farm demonstrations of wise husbandry. The Council also published a series of information bulletins on soil erosion, the fifth of which, published in 1946, was entitled “Down to the sea in slips”. The “campaign” against soil erosion was sustained by geographer Kenneth Cumberland, who wrote the first scholarly publication on the topic in 1947, generously illustrated by alarming images of erosion throughout the country. It was also a prominent theme of a number of subsequent journal articles and his television series, Landmarks. Ironically (as is often the case in environmental history), the very force that drove unsustainable land management practices causing erosion in the first place also had a role in the move away from erosion-causing practices: that is, economics. For instance, arguably, the cutting of farming subsidies by the Labour government in the 1980s had a significant (though unintended) part to play in improving sustainable management of slip-prone hill country. These measures made the continued farming of marginal hill country less economically viable, and many farmers withdrew, some of the land being converted to forestry (albeit exotic) or regenerating to indigenous bush. Since the 1980s, the market for sheep products (wool and meat) has weakened significantly, seeing the continued withdrawal of sheep farmers from hillcountry, and the move to forestry or, on flatter to rolling country, dairy farming (the latter of course leading to a whole set of other consequences). 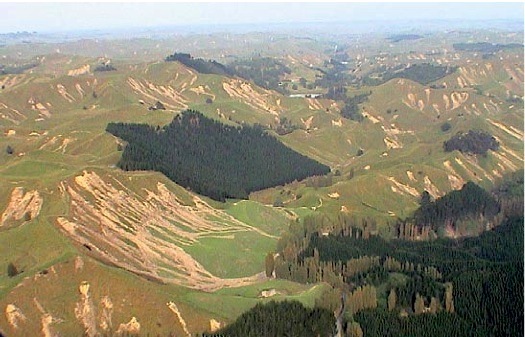 Today the approach to managing hill country erosion in particular varies according to region (generally led by regional councils), but is by and large a voluntary approach, where farmers are encouraged to move to land uses suitable to the terrain, with the support of expert advice and sometimes, financial support. However, as these statistics show, while the issue of soil erosion may no longer be a “hot topic”, it is far from resolved, and, sadly, a publication entitled “Down to the sea in slips” would be just as relevant today as it was in the 1940s. Previous Article Biophilia as an “environment-sustaining instinct”? My name is Jordan Sonneveld and am undergoing the development of an essay about erosion with my partners, James Upjohn and Matthew Rolleston. We are undergoing the research stage and been using your website as a source of information. We would appreciate it if someone could share their expertise with us about soil erosion. Primarily, the current technological advancements that have reduced the effects of soil erosion. We would appreciate it immensely if we could hear first-hand from you, an expert. Thank you for your time and expertise.